“Building a profitable and socially responsible financial institution focused on Markets and Business with growth potential, thereby assisting BRAC and stakeholders build a just, enlightened, healthy, democratic and poverty free Bangladesh”. BRAC Bank work for the missing middle Established in 2001, BRAC Bank is now 11 years old and it has pioneered the small and medium enterprise (SME) banking. If we think of the financial pyramid, there are corporate institutions (local and multinational) at the top of the pyramid and there are low income individuals at the bottom. Those at the top are served by banks and other financial institutions while those at the bottom are served by Micro Finance Institutions (MFIs), e.g. NGOs. But SME sector in the middle were missing access to necessary banking services and that’s where BRAC Bank has filled the gap. The prime objective of this study is to get an overall idea of Capital Market Exposure of BRAC Bank Limited including its mode of use, benefits and challenges. To know the following rules and regulation by BRAC Bank Limited in time of investment. To know the imposed guideline by Bangladesh Bank for the bank regarding Capital Market Investment. BRAC Bank is a financial hypermarket that offers financial solutions for all strata – be it retail, SME, wholesale banking, capital market, or remittance; but it always had a focus on SME. This bank was actually founded on a philosophy of keeping trust on the hopes and dreams of Bangladeshi entrepreneurs – and majority of these entrepreneurs have been beyond the conventional banking reach. The bank was the PIONEER to get into this segment of SME. The bank has so far financed women in growing cattle farms, poultry businesses, boutiques, screen-printing, schools – what not! Even, green field start-ups are also there in our successful, rich portfolio. Alongside it provides special Women Entrepreneur Cell, something that many other banks have. But at BRAC Bank, this cell is run by female personnel – just to make sure that our female entrepreneurs feel more comfortable to discuss their (business) issues. In addition Brac Bank has held a number of seminars and training programs for women entrepreneurs to strengthen their capacity and develop financial management competency. BRAC Bank is one of country’s fastest growing banks. With 151 branches, 250 ATMs, 421 SME Unit Offices and 8,306 human resources, BRAC Bank’s operation now cuts across all segments and services in financial industry. With more than 1 Million Customers, the bank has already proved to be the largest SME financier in just 11 years of its operation in Bangladesh and continues to broaden its horizon into Retail, Corporate, SME, Probashi and other arenas of banking. In the year: 2010, BRAC Bank has been recognized as Asia’s most Sustainable Bank in Emerging Markets by the Financial Times and IFC. BRAC bank Limited, with institutional shareholding by BRAC, International Finance Corporation (IFC) and ShoreCap Exchange, has been the fastest growing bank for last several years. ­ EPL (Equity Partners Ltd) & EPSL (Equity Partners Securities Ltd) – BRAC Bank completed its acquisition of 51 percent stakes in EPL, a merchant bank & EPSL, a brokerage house operating in DSE & CSE. It has been expanded in to other districts. bKash Limited – a joint venture company between BRAC Bank Limited, Bangladesh and Money in Motion LLC, USA. It is working to provide an electronic platform to increase the access to a broader range of financial services for both banked and unbanked people of Bangladesh. BRAC Bank launches the facility to all Bangladeshis who have an internet access can now shop online if they have a Visa card. Capital market is a mechanism to flow fund from the hands of small savers (individuals and institutions) at low costs to those entrepreneurs who do need fund to start business or to business. In the other words, capital market mechanism gives a part ownership of big companies / corporations to small savers like you and me. In simple term, it is a globally accepted scheme to share ownership of economic development with general public. History of capital market: Capital market started in USA at Wall Street in 1653. 1t came to Mumbai, the commercial capital of India around 1890. However, investment in shares boomed in late 1970s. It took many years to come to the land, now comprising Bangladesh. The origin of stock market in Bangladesh goes back to April 28, 1954 when a stock exchange was formed under the name East Pakistan Stock Exchange Association at Narayanganj. Trading started in 1956. It was renamed East Pakistan Stock Exchange Ltd. Transferred to Dhaka in 1958 and again renamed Dhaka Stock Exchange Ltd in 1964. Trading remained suspended during the Liberation War in 1971. The Dhaka Stock Exchange resumed operation in 1976 with nine listed companies as against 452 today. Capital market in Bangladesh got momentum with the establishment of Securities and Exchange Commission in 1994. A big wing was added to the capital market with the incorporation of Chittagong Stock Exchange on April 1, 1995. Operation of CSE started on October 10, 1995. Capital Market Investment has become a very lucrative sector for investment by banks around the world. In recent phenomenon in banking industry, this has particularly become important for banks to diversify their investment avenues and opportunities and generate alternate sources of revenues when banks can pour its liquidity in stock market for higher return. The scope of the Capital Market Investment Policy would be to guide the investable fund under the umbrella of BRAC Bank limited ,Treasury & FI division through BRAC Equity Partners Securities Limited to invest in securities, bonds & debentures of ‘A’ category rates companies (by DSE) for exploiting alternative investing opportunity and generating profit. The purpose of the Capital Market Investment Policy is to provide a framework within which Treasury & FI would invest its funds to trade off its return with risks. The investment policy is prepared considering the risk factors and delegation of appropriate level of authority for effective management of this portfolio. Capital Market Investment policy would lay the framework of investment in Capital Market by BRAC Bank Limited. The objective is to earn maximum return by taking calculative risk. Managing Director & CEO or his/her delegated authority would head Capital Market Investment Committee. In case of absence of Managing Director & CEO, Deputy Managing Director (Wholesale Banking) shall chair tee Capital Market Investment Committee. There should be at least 3 (three) members to be present for the quorum of Capital Market Committee meeting and would set at least once in each month to review the balance and exposure. CMIC may invite expert from BRAC EPL/BRAC EPSL. At BRAC Bank Limited, managing of securities investment portfolio would be operated under the guidance of Head of Treasury & Financial Institutions. The concern desk would ensure close monitoring of the investment portfolio with BRAC EPL/BRAC EPSL. CMIC would allocate limit to Capital Market Trading Desk for day-to-day trading through Equity partners Securities Limited. Separate Trading Desk and Operation Unit would be placed in BRAC Bank Limited. To carry out regular studies of trend in Securities market & inform to Head of Treasury & Financial Institutions and complied for immediate meeting of Capital Market Investment Committee. Would inform to CMIC of any shifts in strategy or industry segment that may necessitate within policy framework. Would seek approval from CMIC prior to engaging in any new industry and company. Would provide daily market update report to CMIC. All the deals made over phone will be recorded in the voice Recorder Organization chart would be formed with the guidance of CMIC and the chart would be reviewed if felt necessary. The Capital Market Trading Desk would be reportable to the Head of Treasury & FI and the back office would report to the COO/CIO. 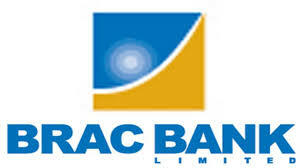 Separate trading and operations unit would be placed in BRAC Bank Limited. Would be responsible for all activities performed by Capital Market Trading Desk, responsible for financial strategy plan, trading business, setting individual dealer’s positions and dealers adhere to all regulations, development of systems etc. Responsible for trading of securities portfolio of BRAC Bank Limited, remain within all limit imposed by CMIC time to time, profitability of trading and maintain close co-ordination with BRAC EPL/BRAC EPSL to perform the job. Financial Analysis for investment would be done with the help of BRAC EPL/BRAC EPSL Research unit. This would ensure returns on investment portfolio to maximize return this policy. Financial analysis based on through understanding of risk elements, market dynamics and input to Head of Treasury & Financial Institutions and report submit to CMIC on weekly/monthly/quarterly/yearly basis. Operations would be responsible for ensuring of compliance of policy & process such as settlement of transactions, limit monitoring, and record keeping. Manager, Capital Market Operations will report to Head of Banking service, perform accounting, operational or monitoring functions and have the primary responsibility to carry out the functions. Investment risk arises from an industry and company’s failure to continuity of their business. The industry and company’s risk would be calculated from their latest financials & market information and any investment proposal would be approved from Capital Market Investment Committee. Liquidity risk is the risk that a given security or asset cannot be traded quickly enough in the market to prevent a loss or make the required profit. Price risk is the prime risk to be considered in the trading of securities. Any price movement would be monitored and reconciled with BRAC EPSL/BRAC EPL to generate maximum gain from this portfolio and to avoid or minimize any unforeseen loss. Secondary market is considerably moved with the market forces. Any market movement would be monitored and informed to Head of Treasury & Financial Institutions instantly for further course of action of our exposure. The risk associated with the potential for laws related to a given industry, country, or type of security to change and impact relevant investments. Economic risk is closely related to political risk as government decisions impacting the economy may also affect an investment. When central bank may raise interest rates or the legislature may raise taxes, and this may result in economic condition impacting an investment. The risk of loss due to incompetent management. That is, if a money manager consistently makes bad investment decision for a fund or portfolio, there is a substantial risk that investor will lose money. Alternatively, the managers of an individual publiclytraded company may choose to suspend its most profitable operation and invest in unprofitable ones. This may result in a loss to shareholders. Fundamental analysis concentrates on macroeconomics, industry and company specific research analysis. This analysis combines valuation techniques, comparative performance analysis of the security, company, industry & market. Technical analysis is the process of analyzing a security’s historical prices in an effort to determine probable future prices. This is done by comparing current price action (e.g. current expectations) with comparable historical price action to predict a reasonable outcome. Although The price of a securities are always determined by the financial performance of stock and industry, Technical analysis captures the price movement of the market index and individual stocks to provide buy-sell or entry-exit signals. Risk analysis measures and monitors the various risks at the portfolio level. The main task is to reduce unsystematic risk by diversifying the portfolio adequately & efficiently. The outputs of these are then combined to generate the optimum portfolio, which will provide the highest return at given levels of risk. All the above analyses would be done with the help of BRAC EPL/BRAC EPSL Research unit. The first step of investment process begins with identifying the universe of stocks. The universe of stock is then narrowed down to build a prospective focus list. This step is usually done in phases. The first phase involves narrowing down the list through a filtering process. The second phase involves narrowing the list further through the fundamental research inputs. It involves analysis of macroeconomics trends, analysis on broad market indices, analysis of fund flow trend to formulate sector biases and sector allocations. This step involves a combination of individual company & security analysis based on multiple parameters, including ratio analysis based on both audited annual report & unaudited quarterly reports, Z score, company valuation, qualitative analysis to identify business trends, competitive outlook and corporate management. These analyses could be supplemented by company visits and information exchange with management. A list of securities would be selected after company analysis for investment in short, medium and long term basis. The next step is to create an optimum portfolio with the goal of maximizing returns and minimizing risk. This step applies the Pre –determined position limits to the portfolio, limiting sector exposure and individual stock exposure. Maintaining lower volatility is also an important concern: to this end, beta adjustment and other sophisticated risk analysis. Various risk elements would be considered while choosing investment vehicle. The important risk issues to be considered are investment Risk, Price Risk and Market Risk etc. All security trading has to be dealt at market rate. Any non-execution of sale or buy order provided by the trader should be reported to the Chief Trader/HOT. A combination of quantitative strategies and market information would be considered for the trade executions. To this end, there is a panel of brokers to execute its trades in an efficient and confidential manner. Beneficiary Owners (BO) account will be maintained with Equity Partners Securities Limited for Capital Market Trading Purposes. Delegation of different levels authority for investment decision decided by the CMIC and delegated authority performed under the guideline of CMIC. It includes cost of investment plus commissions charges, such as brokerage fee & other fees. If an investment is acquired by the issue of Securities or in exchange for another asset, the investment cost is the fair value (revalued amount) of the securities issued or the securities given up. Necessary accounting principles should always be considered for generating all necessary accounting entries. Return on Investment could be generated from receipt of dividends, coupon and capital gain and would be considered of there is any positive cash flow from buying and selling of securities. For fixed income securities coupon receipts may be accrued at the end of each month. For generating accounting entries all necessary accounting entries & principles always be considered. No scheduled bank shall directly engage in share brokerage or merchant banking activities from 1/10/2010. Banks shall have to establish separate subsidiary company or companies to carry out share brokerage or merchant banking activities. Banks have to comply with the requirement of maintaining two limits regarding Share holding and Capital market exposure. The limits are applicable only for the banks and not for the subsidiary company/companies established for share brokerage or merchant banking activities. Individual- 30% of the paid up capital of the investee or 30% of the paid up capital and reserve of the investor bank whichever is lower. Overall – 10% of the total liabilities. 10% of the total liabilities can be invested on capital market. Banks shall maintain the individual and overall limits of holding of shares of other companies by way of own investment, liened against some claims or under custody as prescribed in the section 26(2) of the Bank Company Law, 1991. Shares of different companies (listed in the stock exchange or non-listed) which is purchased by the bank under its own portfolio. Holding of Share means holding of shares only. It does not include bond, debenture or mutual fund unit. Values of holding shall have to be determined by using the market value of the share. In case of non listed share, the cost price would be the market value. The total liabilities will be determined as of the last base dates i.e. end of March, June, September and December. At the time of purchase of a share from the secondary market for own portfolio, a bank should calculate its holding limit for that individual share and the position of the overall holding limit considering the market value i.e. the cost price of that share. While taking shares as collateral for loans, banks should ensure that value of the collateral does not exceed the holding limit for that individual share and the position of the overall holding limit. Banks should mark to market all the shares (held under own portfolio, liened and custody) everyday and should ensure that both the individual and overall share holding limits are maintained under the new market value. By establishing a separate subsidiary company for share trading banks can take the opportunity for better investment management. Paid-up capital of company B is Tk. 1000 m.
Paid –up capital and reserves of bank A is TK. 6000 m.
Now shares of company B worth Tk. 300m is the highest amount that bank A can hold ( by the way of ownership, custody or lien) in. So bank A can buy Tk. 300m/Tk. 600 = 500000 no. of shares. Banks total exposure in capital market will be limited to 10% of it’s Total Liabilities. Banks shall have to follow single borrower exposure limit while giving loan facilities to their subsidiaries and others for merchant banking or brokerage activities. 10% of these Liabilities are the limit for total share holding as well as capital market exposure. Capital Market Investment Committee (CMIC) has been formed with the member of best skilled professionals of BRAC Bank, by whom the policy is made regarding investment. The policy of BRAC Bank to invest in ‘A’ category shares implement that bank has elevated scope to get high return from the investment. BRAC EPL/EPSL playing a successful role in making analysis and profitable investment. Reporting about the performance of investment is very structural and well monitored. Such as, Trading and operation unit have to give daily report to CMIC. The analysis on Capital Market exposure for last 3 years giving a result that there is a consistency in investment. Every rules and regulation imposed by Bangladesh Bank are practiced very obediently. The dependency for reporting with other team sometime making conflict in maintaining deadline and transparency. The dissatisfaction among employees regarding salary and workload may not able to bring best outcome from them. From the analysis I have found out that BRAC Bank is not that much risk lover. Because analysis showing us that BRAC bank has the highest investment of 4.16% on its total liabilities over the last three years where a commercial bank is allowed to invest 10% of its total liabilities on the capital market. Tk. 600 crore worth of funds distributed to the state‐owned banks and Investment Corporation of Bangladesh (ICB), and formation of a mutual fund titled Bangladesh Fund with an initial resource of Tk. 1,500 crore. Government has decided to take actions against people who were involved in malpractices and manipulation. In a strategy it has shown that, only 19 per cent of total listed companies were audited by firms that had official affiliation with international audit firms. So there have a question about the ranking of share. Bull cartels are reported to be formed with some members of DSE/CSE, officials of the SEC, political leaders, high‐profile businessmen, officials of financial institutions, and Owners of brokerage houses, etc. So it is a great threat in taking investment decision. The changes in policies of Government by the changes of Government parties. Unstable and unpredictable capital market of Bangladesh. In this part of recommendation, some valuable issues of BRAC Bank Ltd. (BBL) are discussed. These were the aspects that came out while working as an intern at BBL. These were related to various parts of BBL and thus are placed in the list of general recommendation. According to SWOT analysis some decision can be taken. The co-ordination among the department should be more structural. Should be more serious in case of submission of report within the dead line. BRAC Bank could be more risk taker in terms of capital market investment. Should have more curiosity among employees to make learn something to a intern. BRAC Bank intends to set standards as the market leader in Bangladesh. It demonstrates that a locally owned institution can provide efficient, friendly and modern banking service on a profitable basis. To make this successful, the management committee is always thinking and working to improve the performance of bank relentlessly. BRAC Bank and its other members have a clear vision of achieving 3Ps (People, Planet and Profit) philosophy in each and every activities to build a better and challenging financial future. Finance Department is the most confidential department for any organization. As I worked with the Regulatory Reporting team it was really difficult to know in depth of every report as the information is very confidential. It was an honor to get the opportunity of working as an intern in a reputed organization like BRAC Bank Limited. I hope that the knowledge and experience I’ve collected through the internship period, will help me a lot in future.